The Nyhavn Dining Table is with two leaves in veneered oiled oak, walnut or teak. 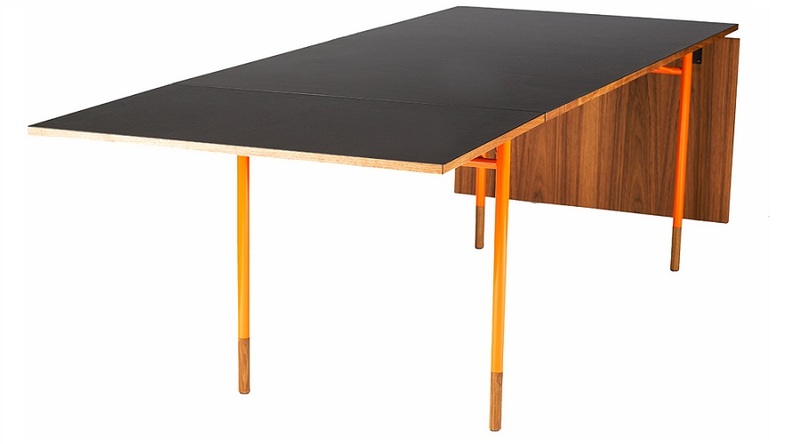 Alternatively, the table can be supplied in black linoleum. 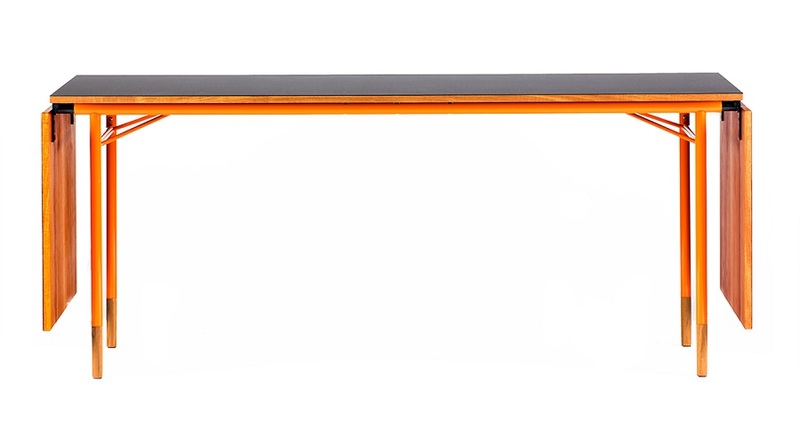 The frame is in burnished or painted steel tube frame in orange, light blue or black, with toes in the respective type of Wood. A special Mount makes it possible to either remove the leaves or let them hang vertically down at both ends. 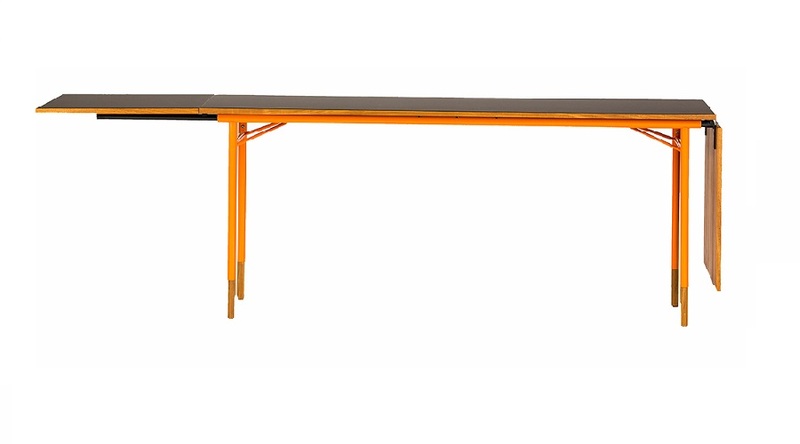 The Table measures 170 x 85 cm, with two leaves 278 x 85 cm. 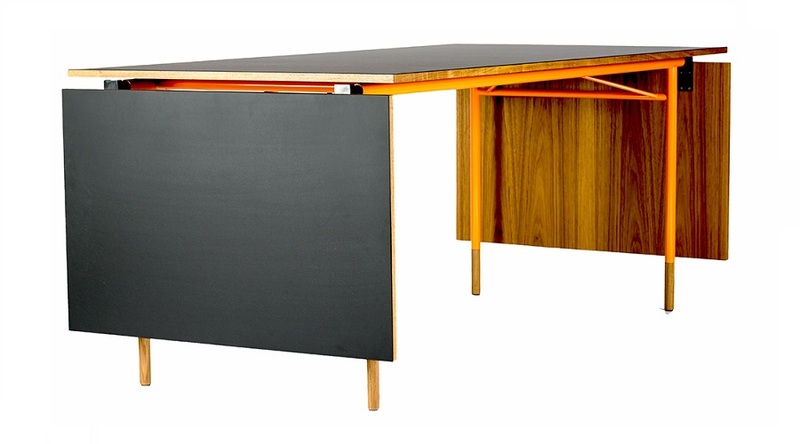 Around 1950 Finn Juhl was inspired by the simple design of his American colleagues – in particular Charles Eames, and having sworn by wood as his favourite material for years, he creates a range of furniture in steel with more simplicity. 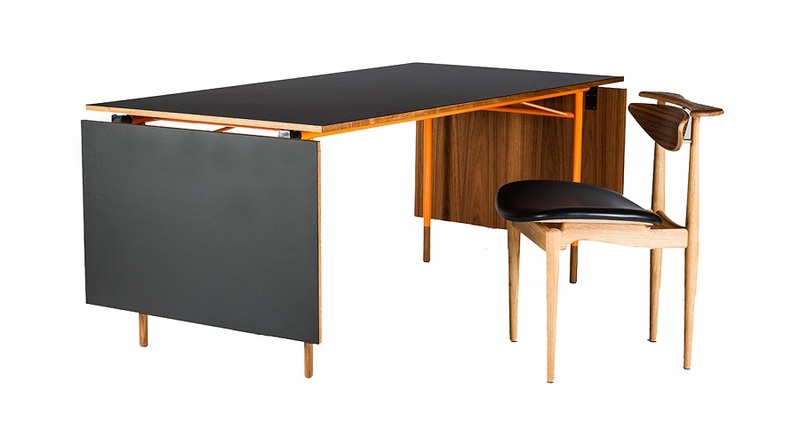 The Nyhavn Dining Table is an example of this – and despite its simple exterior – the table is quite special and has lots of character thanks to Finn Juhl´s sense of detail and functionality. 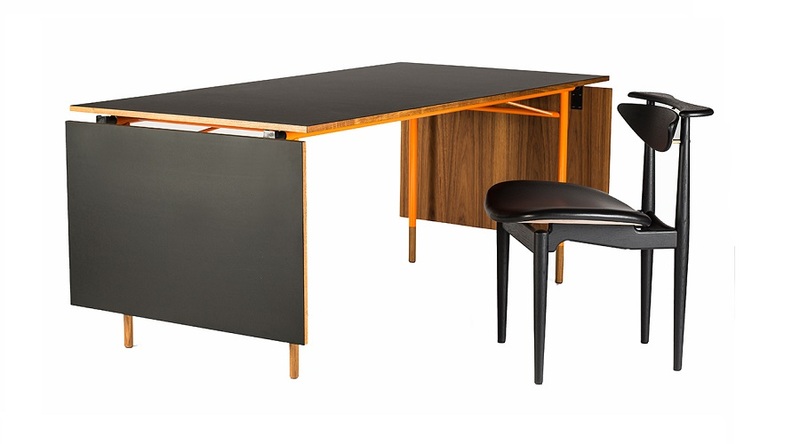 The Nyhavn Dining Table was Finn Juhl´s response to the criticism of his inspiration with the free sculptural art and its exclusivity.